The 17th edition of the Monte Music Festival will be soon held at the picturesque Chapel of Our Lady of Monte, Old Goa. This time around, the organizers will be focusing on Goan artistes, which directly refers to the essence of Goa. The main aim of the event, according to one of the organisers, Maria Inês Figueira, the Director of Fundação Oriente, is to watch the interaction that takes place. “The music festival engages people with regional, national and international music. Everyone comes and listens to different forms; it’s a beautiful fusion of culture,” she said. The festival will open on February 1, 2019 with an interplay of dance, music, theatre and bhakti poetry titled ‘Jheeni’ presented by the Mumbai based group Beej and will end in the Mont Chapel with the concert ‘Ave Stella Maris’ by the Pilar Music Academy Chorale from Goa, directed by Fr Peter Cardoso. At sunset on February 2, the Mexican flautist Nathalie Ramirez and Indian guitarist Shyamant Behal will delight the audience with ‘Melodies for Flute & Guitar’ from European and Latin American composers. 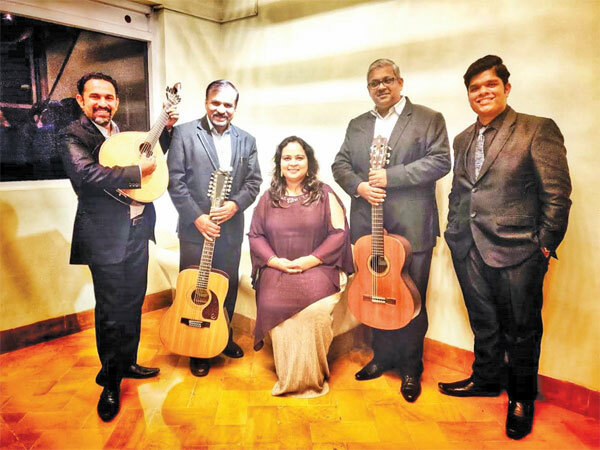 The same evening, Sonia Shirsat and her musicians will render a combination of mandos, dulpods and dekhnis in a concert entitled ‘Sounds of Goa’. Closing the festival on February 3, the celebrated Portuguese fadista Carolina and her musicians will perform a number of traditional fados along new songs written by Portuguese contemporary poets for the artiste. The final concert of the Monte Music Festival promises to be unforgettable! The Chapel of Our Lady of Monte will be the stage for a multi arranged presentation of ‘Seven Last Words of Christ’ (Haydn) directed by Parvesh Java, featuring Eshivita Menezes and with the special participation of the renowned pianist Marialena Fernandes. The Monte Music Festival is presented by Fundação Oriente and Cidade de Goa and supported by the Directorate of Archives and Archaeology, Government of Goa and the Archdiocese of Goa, Furtado’s Music Company and the Goa College of Hospitality and Culinary Education. It is held at one of the most spectacular locations in Goa, the Chapel of Our Lady of Monte, Old Goa. With performances held inside the old heritage chapel and its courtyard with a backdrop of the picturesque Chorão and Divar islands and the River Mandovi, the festival will begin at sunset until about 9pm. The event was first installed in 2002, with a unique blend of international, national and local artistes. After the restoration of the Chapel by Fundação Oriente, the festival has continuously gathered attention and interest from Western and Eastern music and dance enthusiasts. This grand event is a unique one that has carved a niche of its own among all cultural events held in the state. With a unique blend of international, national and local artistes, Monte Music Festival has the privilege to count on an annually growing number of followers that make this pilgrimage to witness a celebration of cultural dialogue, heritage, music and dance. Last year, with standards raised the organisers were quite pleased and take the responsibility of making this festival another memorably year. Monte Music Festival 2019 is undoubtedly an event not to be missed!